When it comes to your business's web presence, you probably think about how people interact with your website. You may even consider how you show up in Google since they dominate the search engines, but even Google's search engine market share is declining year after year. In reality, your web presence is so much more than either of these. 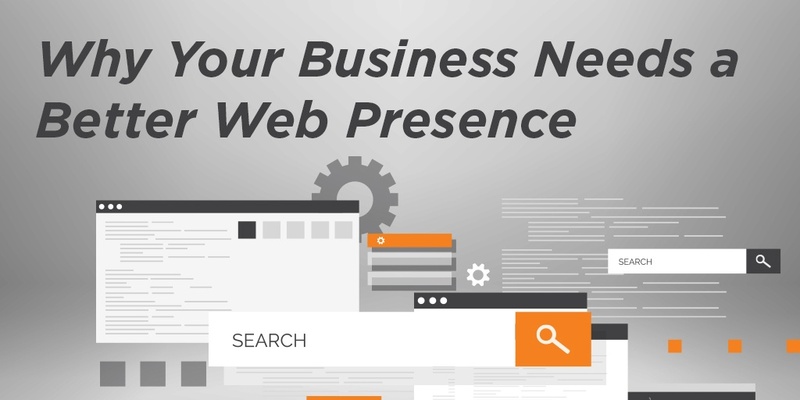 Your website presence is the one place where your consumers can come to learn information about you and connect with you. This includes your website and your blog. Your web presence is the collection of all of the places online where consumers are able to research information about your brand and engage with you. These include social media profiles, review sites, directory listings, microsites, and anywhere else online where your brand is mentioned or profiled. As of February of 2016, comScore reports that Google holds 64% of the market and NetMarketShare claims 67% market share when it comes to desktop searches. It's always important to have an organic SEO and content marketing strategy so that your content, products, and services are showing up to solve people's search queries. When it comes to mobile, more and more people are performing mobile and tablet searches than desktop. This is why it's more important than ever, and always will be, that your website is mobile-friendly. Just like you should track Bing and Yahoo along with Google, you should also track mobile rankings for these search engines - which we do for our clients. In the big picture of the Internet, search engines aren't everything - there is still something missing. YouTube, Facebook, Twitter - all of these sites are beginning to account for the decline of Google's search engine market share. Instead of focusing all of your attention on just your Google search engine rankings, maybe it's time to see how your business and content is displaying on these search engines. When it comes to Facebook, you can search right inside the mobile app to find content, never having to leave the app to view the content. This trend will continue, which will hurt website analytics because you are getting visitors from "dark social" that you aren't able to track on your website. In terms of displaying ads, you might think that Google is the place to be for mobile ad displays. But you'd be wrong. According to IHS, Facebook has about 47% ownership of mobile display ad revenue worldwide, while Google comes in at under 24%. YouTube is considered to be the second biggest search engine there is, with over three billion searches a month and growing. With YouTube videos showing up on the first page of almost every search result, it's about time you start creating high quality videos and using them in your marketing strategy. A lot of people like to engage with brands through social media, whether they are praising the brand, have a question, or want to make a complaint. Yet about 70% of customer complaints on Twitter are ignored by brands. Because of this, consumers are trying to find a different way to get in touch with businesses. So, how do brands get more conversational and personal with their customers to handle any questions, comments, and complaints they have quickly and easily? 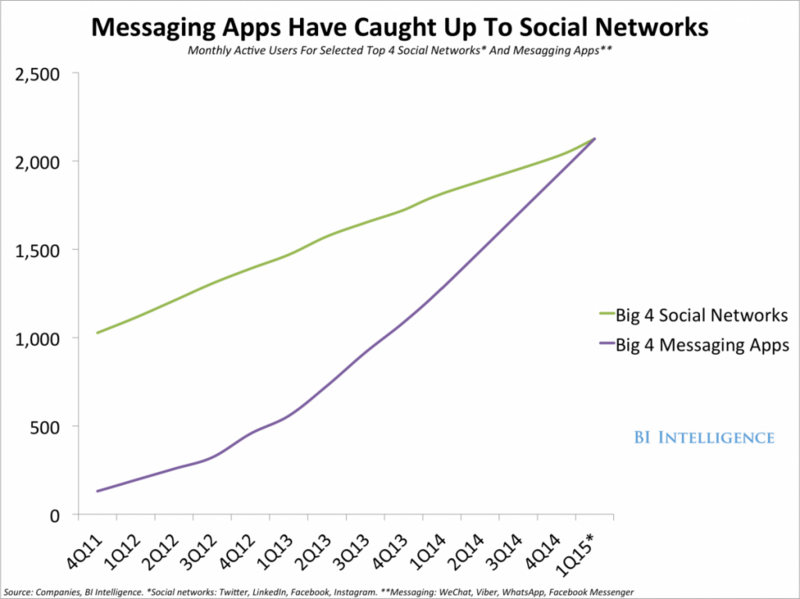 According to a study done by Business Insider, the big four messaging apps (WhatsApp, Facebook Messenger, WeChat, and Viber) have taken over the big four social networks (Twitter, LinkedIn, Facebook, and Instagram) in terms of active users. With the growing popularity of Snapchat, social messaging activity is sure to continue to outpace active users on social networks unless they figure out a way to engage just as quickly, easily, and privately with their consumers. Not only should you have an active presence on social media sites, but brands need to also be active on these social messaging apps as their customers are clearly favoring them when trying to converse with companies. 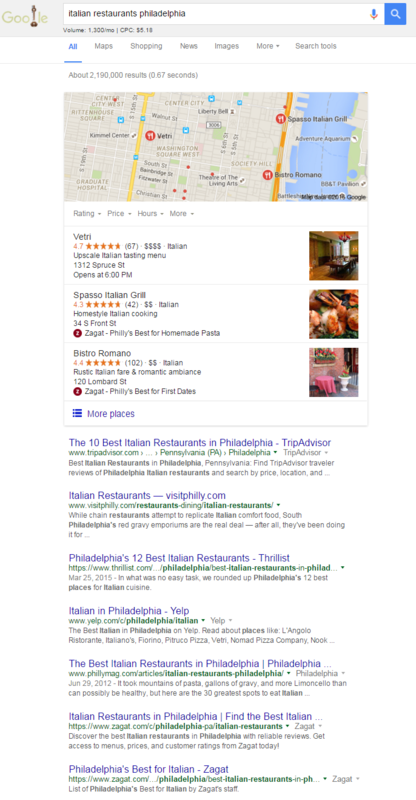 When performing a Google search about a restaurant, hotel, or other business, you will notice that review sites pop up near the top. Consumers are doing more and more research before buying because of all the content that they can review. 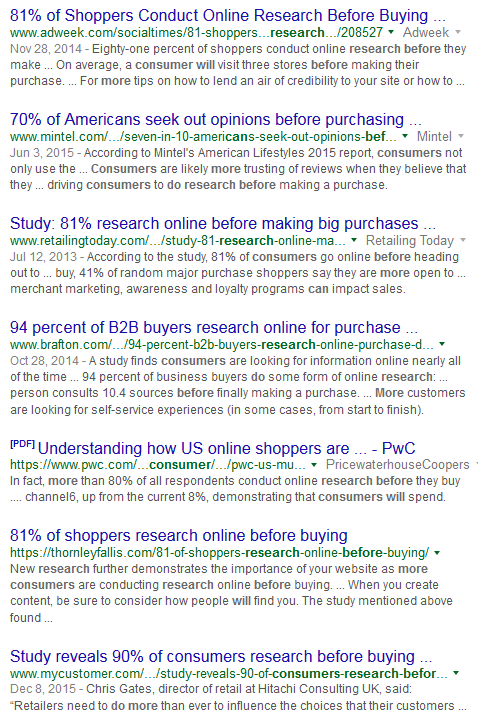 Multiple studies have shown that 70-90% of consumers are doing online research before making a buying decision. Consumers are researching on sites like Yelp, Angie's List, Foursquare, Amazon, and Google Business for reviews before determining where they should give you their money. When you have a good presence on all of these sites and you're getting good reviews from the most loyal brand evangelists, sometimes your customers still need to be gently nudged or asked to leave a review. Your web presence on review sites is a big part of reputation management, which we recently discussed here. Organic search results have changed and will continue to change, so we must adapt. Fewer products and services are showing up, with more articles and blog posts taking their place. 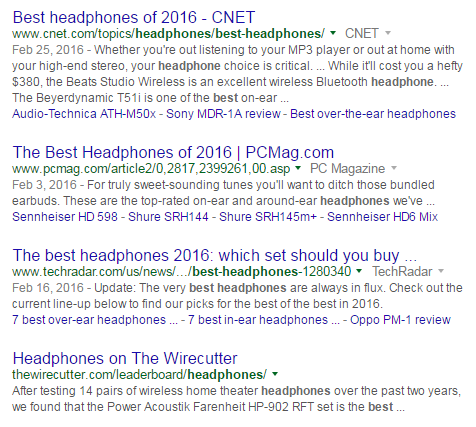 Years ago, an SEO mindset would want to rank their product pages for search terms like best smartwatch, affordable car, best headphones, and more. What's showing up now aren't products - it's articles and blog posts that provide helpful content to the user in their research phase (after you get passed the paid search results, of course). 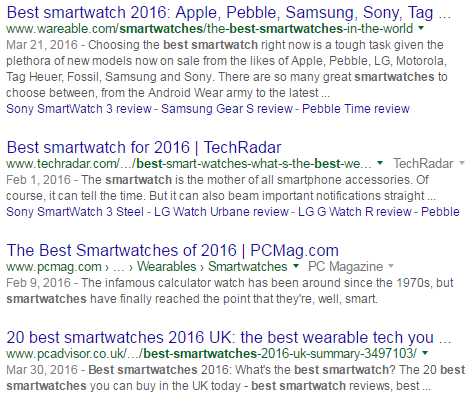 Notice that Apple does not rank at the top for "best smartwatch" (but it does show up as the top paid result). If you are searching for a restaurant or hotel, Google returns maps, reviews, and travel sites. You have to get to the second or third page until you find a site owned by the restaurant or hotel. Are you getting your business listed on these review sites? Your competition is, and so should you. Whether you've moved business locations or your directory listings have never been in sync, having a consistent Name, Address and Phone Number (also known as NAP) is very important for your online business. If you have inconsistencies, even just spelling out "West" versus "W." in some cases, can mean you won't be showing up in map results that Google is pulling from directory listing sites. There are many benefits of claiming your directory listings, so it's extremely important to have a consistent NAP across all of your listings. It's also important to be listed in listings relevant to your industry and niche as well. If you are a local business then you need to have a presence on Yelp, Foursquare, and Thumbtack. For lawyers, you need to be on FindLaw, Avvo, and Lawyers.com. When you look at just about any city search for lawyers, they are on the first page. Finally, if you sell eCommerce products, look into selling on Etsy, Amazon, and eBay. 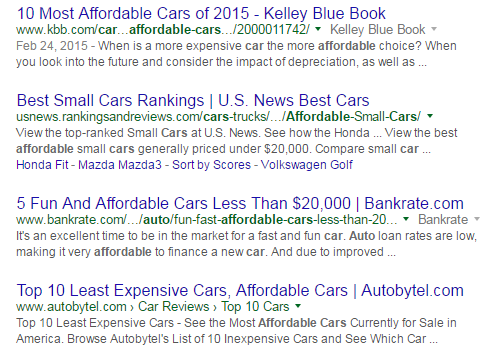 The chances of beating out competitors for buyer keywords is slim without having to pay for it. Getting more and more organic traffic from relevant keywords to your business is great. 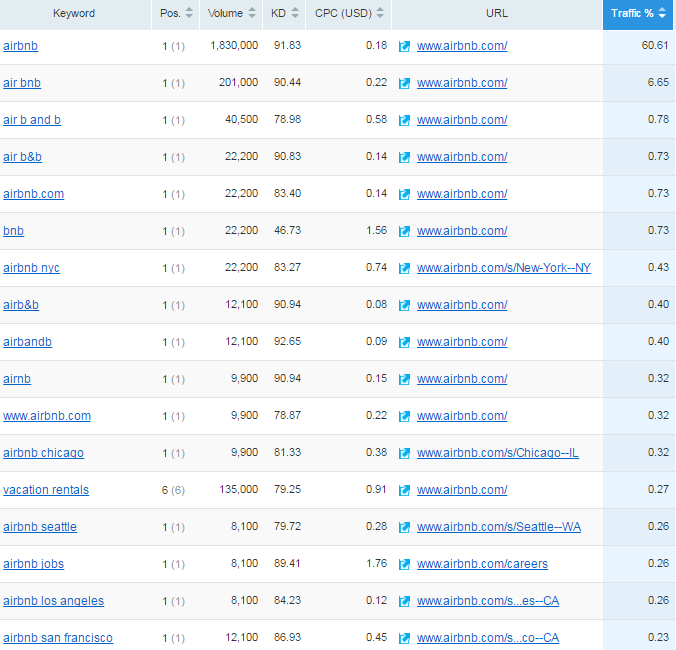 Getting more and more organic traffic from branded relevant keywords is even better. Do you think it is more important for a travel site to rank for vacation rental keywords and locations, or would they prefer people to search for their travel site and the location? Which ends up converting better? Take this example: fewer and fewer people are searching for vacation or vacation rentals, while Airbnb gets more and more searches. This proves that as your web presence grows, so will your brand and the searches for your business. Do you think that Airbnb wants to rank more for keywords or have more people searching their brand and locations? This chart from SEMrush clearly shows that the bulk of their organic traffic is coming from branded searched terms, which definitely have a higher conversion rate. So do you want consumers to search for your products and services and find you among your competitors? Or do you want consumers to search for your brand and your products and services because they've done their research on your company - and you provided what they needed with a strong web presence?